Türk, L. and Cohn, J. 2018. 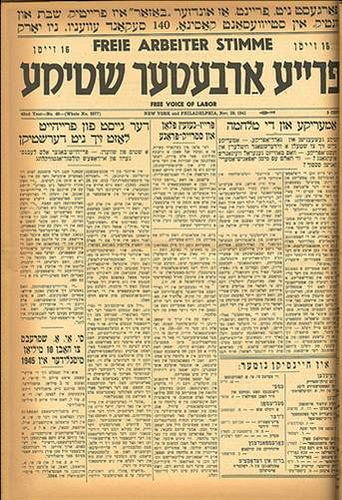 Yiddish Radicalism, Jewish Religion: Controversies in the Fraye Arbeter Shtime, 1937–1945. In: Christoyannopoulos, A. and Adams, M. S. (eds.) Essays in Anarchism and Religion: Volume II. Pp. 20–57. Stockholm: Stockholm University Press. DOI: https://doi. the "labor question" very well. Those who appear in this film are those who I knew and worked with (primarily in the Libertarian Book Club).